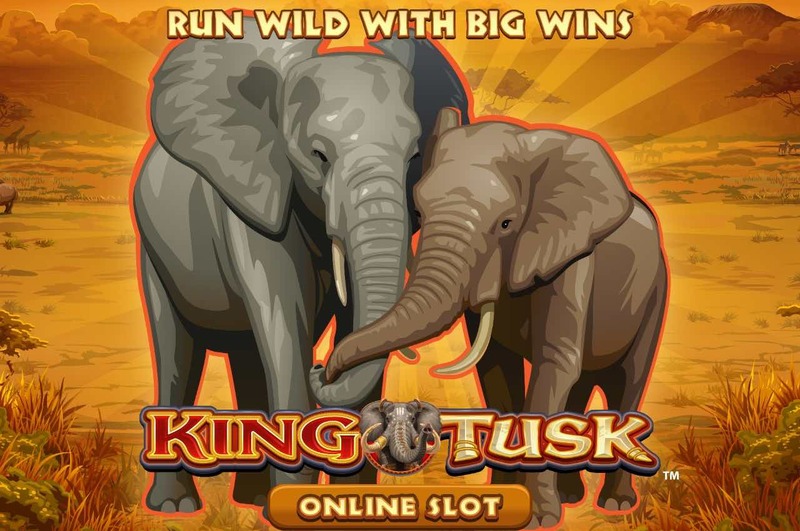 Play King Tusk now, Bow down to your new king, as we take you on a safari in this African themed adventure and epic new slots online game “King Tusk”. African Elephants are the largest and heaviest land mammals on the planet and can weigh up to a staggering 7tonnes and grow to an astonishing 12feet. However, elephants have been known to be the target of hunters, as their tusks can fetch a hefty price on the black market. While it may be illegal to poach elephants, we think you may enjoy hunting some of our rather large rewards and bonus rounds in this amazing themed five-reel casino game. spin the wheel today! You can read more about this developer and the rest of their games here on Easy Slots. · Wild symbols, this will substitute your basic symbols for winning symbols, increasing your reward. · Random Multiplier, this will randomly multiply a win. · Sticky Wild symbols, this allows certain symbols to stick while playing, creating bigger combinations of scores. · Synched Wheels, this is when adjacent reels of the same height are synced. Want more slots bonuses? play now! “King Tusk” is one of the most iconic online slots game currently developed. It has amazing content and the safari inspired theme will take you to animal infested plains of Africa. The game is perfect for any animal lovers, casino slot fans or simply anyone looking for fun. 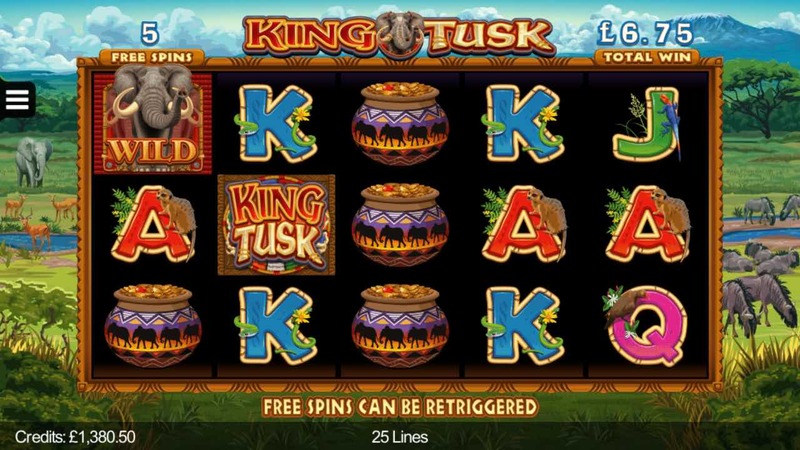 If you enjoyed King Tusk you might also like to try another online slot, visit here!